Waders, or shorebirds, represent only a small percentage of the world's birds, but are unparalleled in popularity among birders. Why? Identifying these seemingly anonymous grey birds, through a combination of shape, plumage and behaviour, is one of the most rewarding challenges in birding - and the possibility of finding a rarity is an ever-present drawcard. Despite their delicate appearance, waders thrive in some of the most inhospitable environments on the planet thanks to remarkable structural and behavioural adaptations, dynamic life cycles and dramatic global migrations. More than two years in the making, this unique, lavishly illustrated book will help you not only to identify waders with confidence, but also to understand and enjoy these inspirational birds. 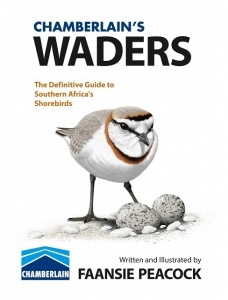 It is the ultimate resource on the identification and biology of Southern Africa's wader species. 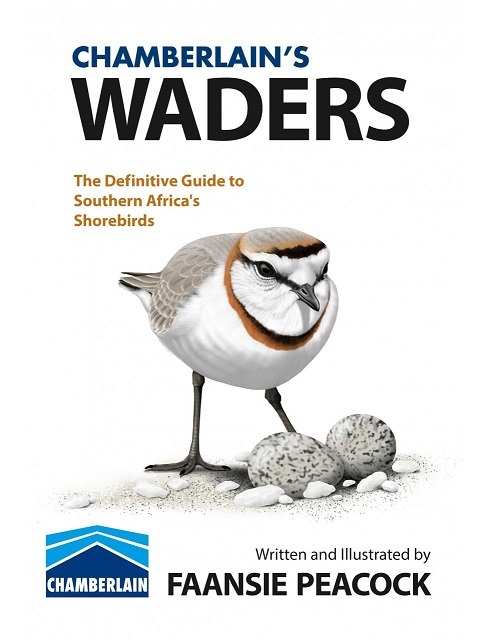 However, because of waders' incredible worldwide migrations, most of the species in Chamberlain's Waders will also be familiar with readers from other regions of the world (only 30 of Southern Africa's 80 waders are NOT migratory). What makes Chamberlain's Waders different from other titles on waders? Firstly, it is written from a Southern Hemisphere perspective, unlike most European and American books. This shift of focus completely changes the picture. Secondly, it explains wader identification based on a background of biology and ecology – instead of just listing all the tedious identification details. Thirdly, it is so much more than just a field guide. Some paragraphs really read like a love letter written to waders – in celebration of their beauty, adaptability and triumph over seemingly insurmountable challenges. 256 pages, 600+ colour illustrations, black & white illustrations, colour distribution maps and tables.